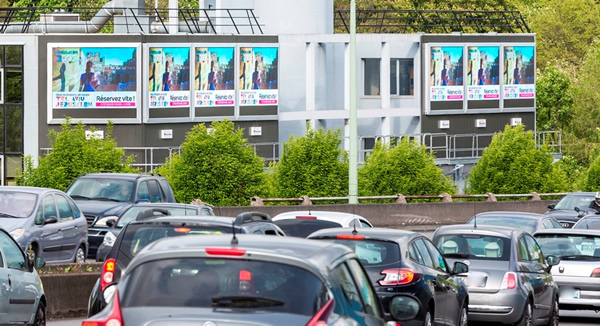 32 digital screens on the Parisian ringroad, building on their national digital roadside network, We launched 32 digital billboards on the ring road that circles the city of Paris. They have been installed in groups to maximise impact and encourage creativity. Advertisers can choose to synchronize their content across the screens to create a high impact impression, promoting their brand in a truly unmissable way.